It is often said that “the proof is in the pudding” and clinical research is no exception. For years, scientists and physicians have postulated that personalized therapeutic approaches hold the key to efficiently thwarting diseases like cancer. Yet, as a scientific endeavor, researchers are rightfully required to perform due diligence and prove their hypothesis. Now, investigators at the University of California San Diego (UCSD) School of Medicine report on results from a large-scale meta-analysis, that therapeutic approaches using precision medicine—which emphasizes the use of individual biomarkers to refine cancer treatment—showed improved response and longer periods of disease remission, even in Phase I trials. The authors of the meta analysis “Association of Biomarker-Based Treatment Strategies With Response Rates and Progression-Free Survival in Refractory Malignant Neoplasms” published June 6 in JAMA Oncology reviewed 346 Phase I clinical trials involving 13,203 patients and found that in those involving precision medicine strategies more than 30 percent of patients responded to treatment compared to only 4.9 percent of patients enrolled in non-personalized arms. Moreover, patients treated with precision medicine also benefited from longer progression-free survival with a median of 5.7 months before their disease worsened compared to 2.95 months for the others. The new analysis involved 58 precision medicine treatment arms and 293 that did not. The personalized treatments led to improved outcomes across tumor types. Furthermore, the use of a personalized approach was associated with a higher response rate of 24.5 percent in patients with solid tumors compared to 4.5 percent in non-personalized strategies. Similarly, hematological cancers had a 24.5 percent response rate compared to 13.5 percent. In both tumor types, using precision medicine gave patients a longer progression-free survival (4.1 versus 2.8 months in solid tumors and 13.6 versus four months in hematologic tumors). Interestingly, a sub-analysis of 234 arms that were testing targeted drugs, the UCSD team found that using biomarkers to assign patients to treatments led to response rates of 31.1 percent compared to 5.1 percent for those that did not—highlighting the importance of pairing targeted therapy with a biomarker. 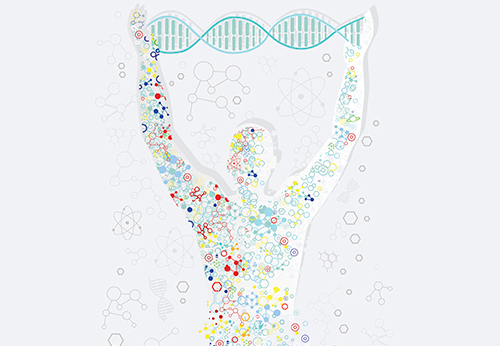 An additional sub-analysis showed that while the use of both genomic and protein biomarkers improved outcomes, genomic biomarkers performed better. The targeting of genetic mutations led to a 42 percent response rate, as compared to a 22.4 percent response if the biomarker was directed at a protein overexpression.